Love the Parkour? Ok, then be sure to try this map for MCPE 0.15! 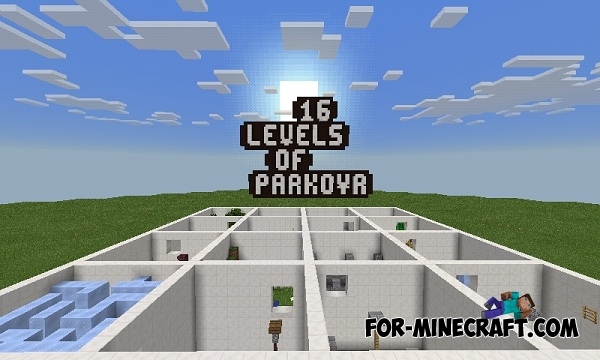 Here you will find sixteen levels, each of them unique interests. The principle of "Parkour" - is the ability to control the body, which includes the development of certain skills such as climbing walls and jumping from one obstacle to another. SkillsMod by RoVaGe for Minecraft PEThis mod adds different skills in the game. You can improve a specific skill, and with each level you will get new opportunities. Skills mod for Minecraft PE 0.14.0/0.14.1/0.14.2Skills mod adds new experience points in Minecraft Pocket Edition. After you get enough experience, you can use these points to get various skills.